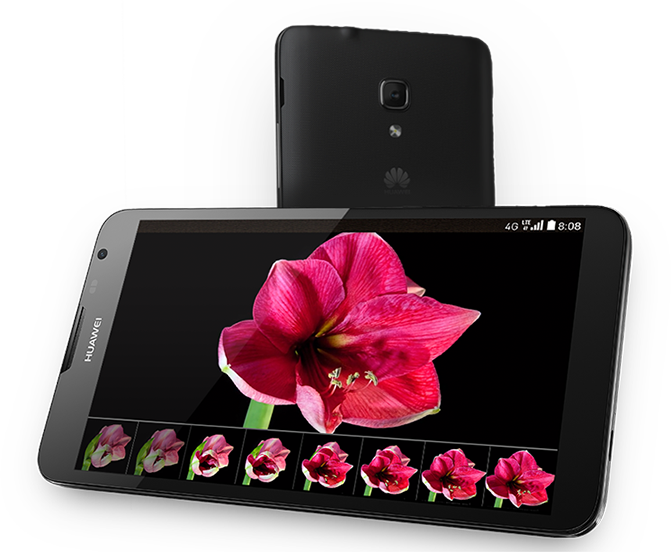 In the beginning of 2013 at the big event CES in Las Vegas, Huawei introduced its large-sized phablet with 6.1-inches screen Huawei Ascend Mate. 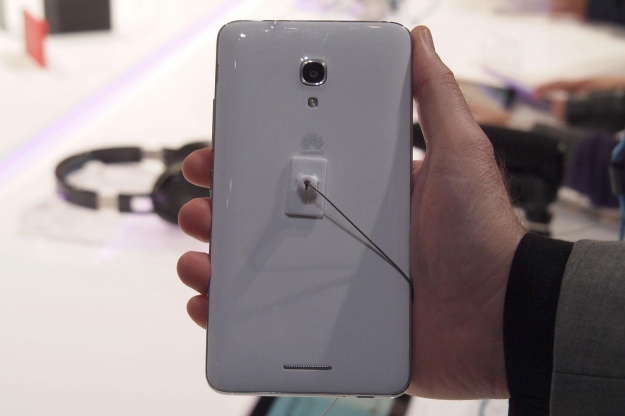 A year later the Chinese manufacturer announced the successor of the model, the Huawei Ascend Mate 2 4G. The phablet boasts a lot of the features of its predecessor and some nice extra capabilities that assure more extraordinary user experience. The new large-sized smartphone arrives with a 6.1-inches display, a quad-core Snapdragon 400 processor, a pair of cameras, rare 13MP shooter and an impressive front-facing camera with 5MP. There is a huge battery that gives juice to the phablet with a capacity of 4050mAh. The model is LTE enabled and provides a rich diversity of possibilities and features to meet the expectations of mobile users today. 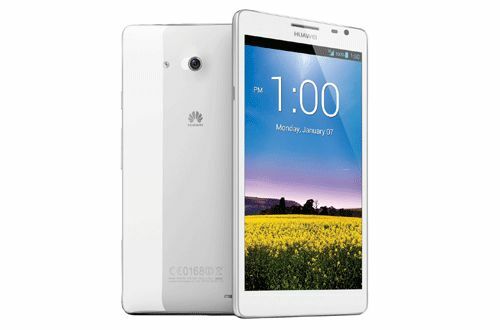 Huawei Ascend Mate 2 4G is made of high-quality polycarbonate. It sports a sleek design with a large panel that measures 9.5mm in thickness and weighs 202 grams. It is framed by a silver band. The back plate of the handset is removable. The screen of the phablet is 6.1-inches IPS+LCD with a resolution of 720p. The expectations about the model consisted of a higher resolution for the handset. Huawei claims that the vibrant colors and the excellent picture quality of the screen assure fulfilling visual experience for users. The pixel density is 241ppi. It boasts great viewing angels. The screen is protected with Gorilla Glass. Overall the Ascend Mate 2 4G is equipped with a decent display that will satisfy users’ expectations. The new phablet is powered by a quad-core Qualcomm Snapdragon CPU clocked at 1.6GHz paired with 2GB. The storage provided in the device is 16GB. There is a microSD slot for expanding of the memory to 64GB via cards. The battery of Huawei Ascend Mate 2 4G is 4050mAh. It can keep the phablet working for around 60 hours in normal use. Among the extraordinary capabilities of the cell is the Reverse Charge feature that enables it to be used as a portable charger. According to Huawei it will be possible to charge another device via USB cable. The main camera of Huawei Ascend Mate 2 4G is 13MP rare camera with a BSI sensor made by Sony with 28mm lens and f/2.0 aperture for more satisfying picture quality in environments with low light. It is equipped with LED flash. The camera can record 1080p video. The front-facing camera is one of the key features of the phablet. It is a 5MP shooter with a f/2.4 aperture. Among the special capabilities of the front shooter is the panorama mode. Users can take panorama selfies via the mode that stiches 3 shots in one to deliver an extraordinary picture. The front camera can also record full HD 1080p video. The 5MP camera is similar to the primary shooter of the Motorola Moto G. The camera has Auto Front Face Enhancement feature for better selfies than ever. 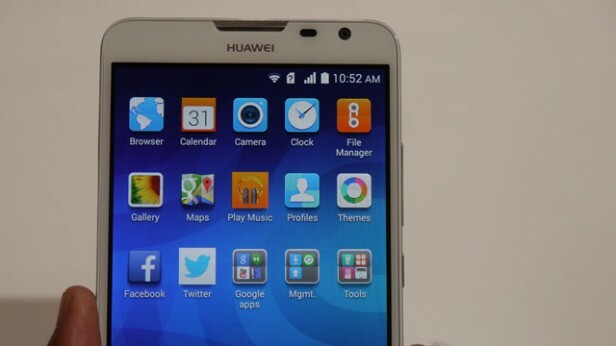 Huawei Ascend Mate 2 4G arrives with Android 4.3 Jelly Bean OS pre-installed. It is customized by the Emotion UI 2.0 with abundance of features and apps. Among the goodies that the user interface assures are the customizable themes, Floating Windows as well as a lot of gesture-based features. It boasts the gloves mode that makes it easy to use the phone even when you are wearing gloves. The Ascend Mate 2 4G boasts a simple mode of the platform. It reminds a lot to the Windows Phone platform with tile-like buttons. Another interesting feature is the One-Hand UI that makes the device more convenient for work with one hand. The phablet supports the blazing fast 4G LTE connectivity. It is equipped also with Wi-Fi, 3G, Bluetooth and GPS. Huawei Ascend Mate 2 4G will be released internationally. The rumored carrier in the US that will launch the phablet is AT&T. Until now there is no official information about the plans of the company for the introducing of the model worldwide. The 3G version of the Ascend Mate 2 was recently released in China for 2688 CNY ($445). The phablet will be launched in two colors – Pure White and Crystal Black. 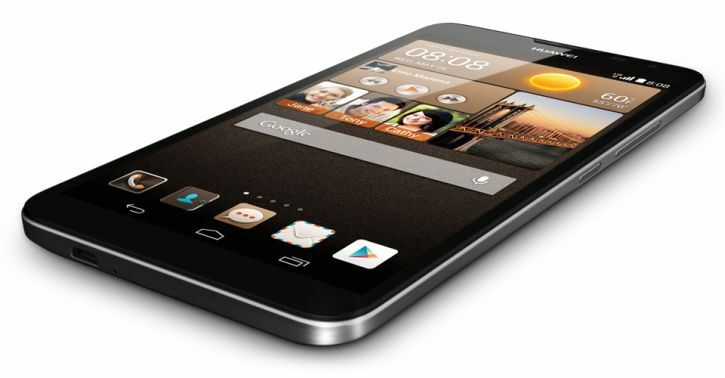 Huawei Ascend Mate 2 4G is a giganto smartphone packed with a great package of specs. Even though it does not boast the most powerful processor or the highest resolution of the display, it is a very impressive model that will satisfy the expectations of mobile users that prefer the enormous handsets. It runs on Android 4.3 and provides plenty of features for entertainment and work. The 4G LTE connectivity is a must for the modern smartphones today so we are happy to see this capability in the new generation Ascend Mate. Its huge battery makes the phablet one of the most reliable devices you can use on the go. Even more, it enables you to charge other handsets whenever you need. The pair of cameras of Ascend Mate 2 4G is truly fascinating. The 13MP shooter provides very good picture quality in low light. The front-facing camera with 5MP is very impressive with a variety of extraordinary capabilities, such as panorama mode and Auto Front Face Enhancement. Huawei Ascend Mate 2 4G arrives in the mobile arena to compete against Samsung Galaxy Note 3 and Sony Xperia Z Ultra. The reasonable price of the device will certainly be one of the advantages of the model. The company will offer various accessories for the phablet such as colorful protective cases. The first markets that will receive the smartphone in Q1 2014.